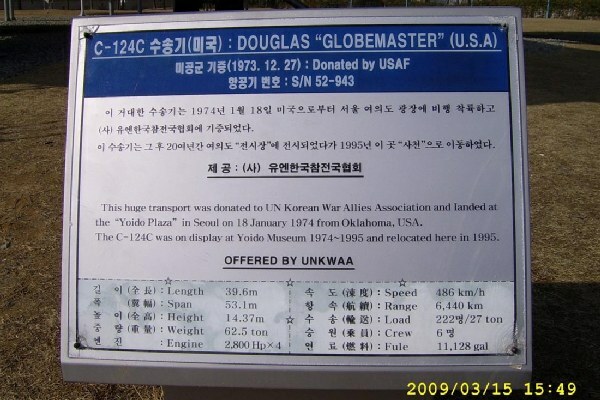 This series of photos shows a C-124C that was donated by the USAF to the UN Korean War Allies Association in 1974. 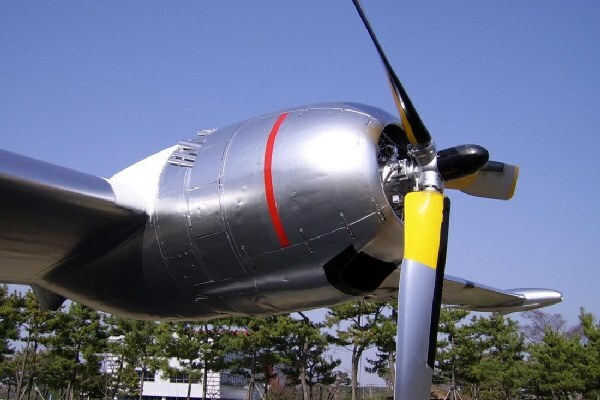 The aircraft was on display at the Yoido Museum until 1995. 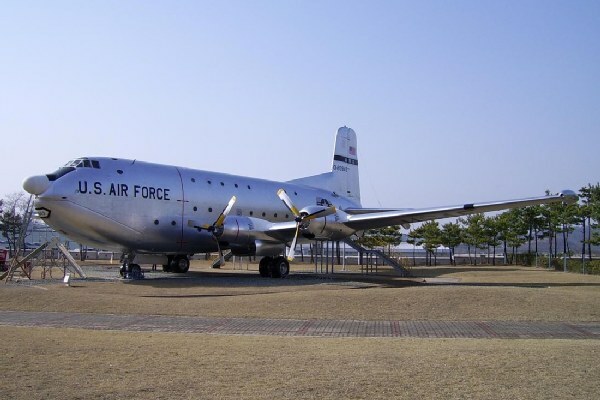 Since that time, the Korean Aerospace Industries developed and opened a new air and space museum in Sachon. 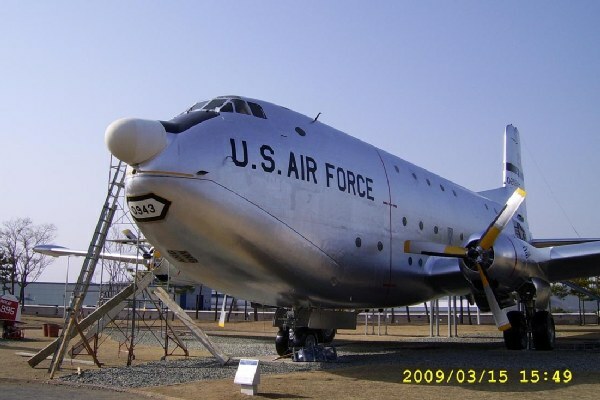 The huge cargo aircraft was moved to Sachon, and went on display at the new KAI museum in the early 2000s. These photos were kindly offered to me by Mr. Jeyon Park, a resident of South Korea. Mr. Park visited the museum on March 15, 2009, and took the photos that are included on this page. These photos show that the Globemaster II appears to be in fantastic condition and is being well taken care of. The aircraft looks almost factory fresh. I normally only use my own photography. 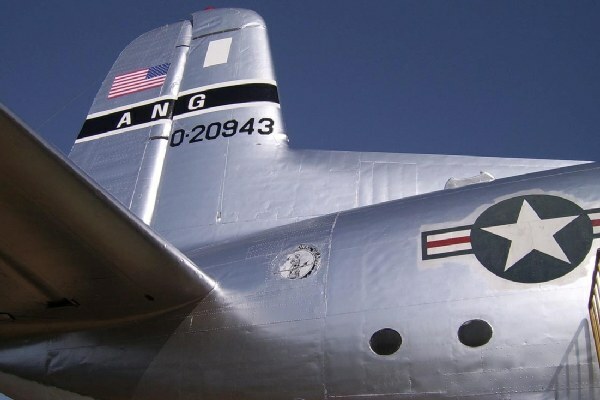 The fun of doing this website is tracking down all of these aircraft, and visiting them in person to take the photos. However, it is not likely that I am going to get a chance to visit South Korea in the near future, so in this case, I used photos that were contributed by another photographer. The photo above is the guide sign that is posted in front of the nose of the aircraft. The sign includes both Korean and English text. The photo below is port side outboard engine nacelle. The photo above is a view of the nose of the aircraft, which features large clam-shell doors. The scaffolding next to the aircraft is part of a project to repaint the fuselage. The photo below is a close view of the tail. Note that both photos show the aircraft tail number, which is based on the serial number of 52-0943.